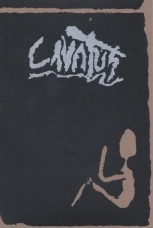 Cavatus (formally known as Mortua Nix) out of Colorado is the brain child of Elias Addison. A0620-00 is a haunting mix of noise, drone and dark ambience. Elias covers a lot of ground across the 40 mins of material on this tape from harsh blasts and distorted vocals to ambient washes and piano interludes. For fans of uneasiness and creepy vibes.